PHILADELPHIA - A longtime union boss was convicted Tuesday in a sweeping racketeering case of overseeing violence, vandalism and intimidation to get construction jobs for his members. Joseph Dougherty, 73, told Ironworkers Local 401 members they were at "war" with nonunion competitors, especially as construction jobs dried up after the Great Recession. Dougherty's conviction came after nearly a dozen members pleaded guilty rather than face trial. Several testified against him, including a top deputy who described the arson of a Quaker meetinghouse being built with nonunion crews. Witnesses also described torching another construction site; attacking nonunion workers and their cars with baseball bats; rumbling over jobs with the rival carpenters union; and flattening tires and causing other "mischief" on an 18-month picket line outside a new apartment complex. Dougherty was accused of conspiring with others to commit violent acts against nonunion job sites and workers. 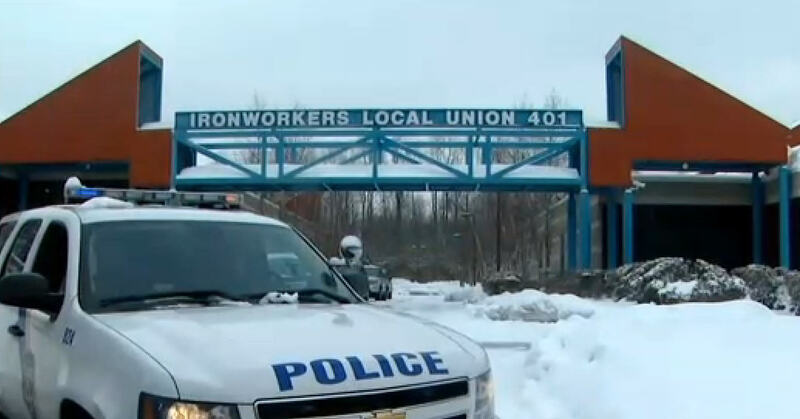 Several union members pleaded guilty and testified at Dougherty's trial. CBS Philadelphia reported Dougherty was found guilty on all six charges he faced. Sites targeted by the union included the Merion Golf Club as it prepared to host the 2013 U.S. Open, and a Quaker meetinghouse under construction in 2012. "We knew we had an uphill battle with 11 former ironworkers testifying under either plea agreements or agreements of immunity," defense lawyer Fortunato Perri Jr. said. "(But) he's obviously disappointed." Defense lawyers for some of those who pleaded guilty said their clients had to do "night work" - the union's term for vandalism - in order to get day work at the union hall. Perri argued that Dougherty never directed his members to commit crimes and should not be held responsible for them. "We love you, boss!" one ironworker in the courtroom shouted as Dougherty was handcuffed and taken into custody. The racketeering, extortion and other convictions carry what could amount to a life sentence for Dougherty. The judge cited a 15-year minimum sentence in ordering Dougherty to be taken into custody immediately and jailed pending his April 29 sentencing. The jury heard dozens of wiretapped phone calls between Dougherty and other union brass. The rank-and-file agitators called themselves the goon squad and "The Helpful Union Guys," or THUGs. One Texas contractor described her decision to hire a few union ironworkers for an antenna tower project near Philadelphia just to avoid trouble. A union worker tapped for the job once dropped his tools from the 1,000-foot tower, then came back late from lunch and missed the shuttle back up to the top. The worker was fired. Dougherty was heard on an FBI wiretap telling his aides that he didn't want any retribution since the contractor had agreed to work with the union. Dougherty joined Ironworkers Local 401 in 1966 and came to earn more than $200,000 a year in the top post, where he had to find work for as many as 1,000 members, a number that slipped to about 700 during the recession. Supporters say his deputies - who also earned six-figure salaries - took things too far to impress him and keep their lucrative union jobs. Dougherty was acquitted before deliberations began of two counts, one centered on the arson of a Quaker meetinghouse. Perri had argued that he learned only after the fact that his members had set fire to the nonunion construction site.